Surf City is known as the commercial hub of Topsail Island, located just 30 minutes north of Wilmington, North Carolina. Drive over the famous “Swing Bridge” and be welcomed into this quaint beach town home to less than 2,000 year round residents. Family vacation homes line the streets. 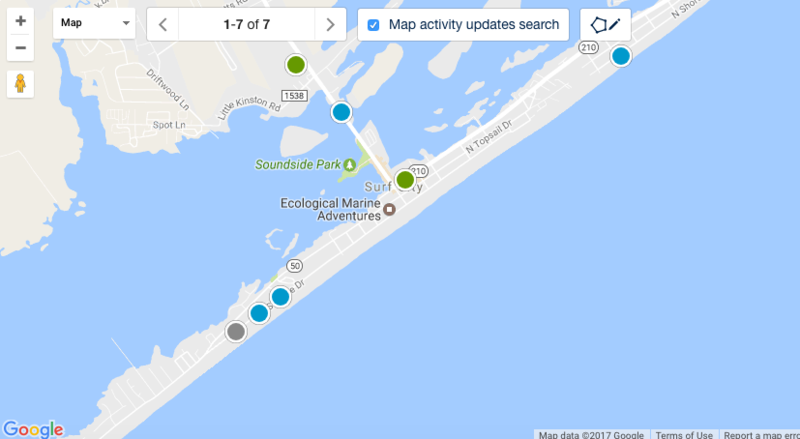 Surf City offers calm and serene beaches, but also is home to Soundside Park which offers visitors piers for fishing, a children’s playground area, and covered picnic tables. Throughout the summer Soundside Park will hold several concerts, movie nights and more. The 937 foot long Surf City Ocean Pier is a fisherman’s delight that has its own tackle shop and lighting for night fishing. Water sports abound in Surf City ranging from scuba diving, surfing, kayaking, or paddle boarding. Or if you prefer a more calm tour of the town, Surf City offers chartered riverboat tours daily. 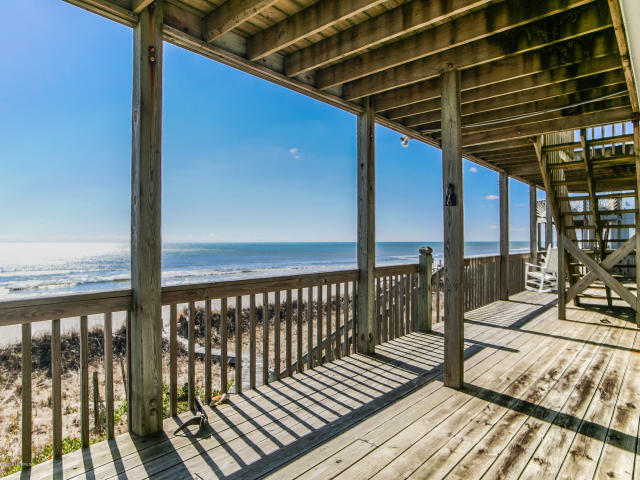 Surf City, NC homes for sale vary in size and price. For the nature lovers the Mason Inlet Waterbird Management Area is a great place to catch local birds and other wildlife. This little beach town offers a surprising array of shopping options ranging from trendy gift boutiques to outdoor and fishing equipment. Be sure to check out the Surf City Crab Seafood Market where you can purchase fresh seafood as it leaves the boat. Once the sun sets, Surf City offers several locally owned restaurants and bars to add to your nightlife. Sample fresh caught seafood, Eastern North Carolina Bar-B-Que or sip on a delicious craft cocktail while gazing over the ocean views. Surf City rests along the beautiful coast of North Carolina. From the beaches to the tidal creeks, Surf City, NC truly is paradise for those who choose to call it home. Owning property is also relatively inexpensive compared to the higher costs of the Northeast and Florida. The Surf City, NC real estate market is generally a very healthy one. Houses, condos, and townhouses appreciate well with the overall Island economy. Properties for sale in Surf City, NC range in value based on the area you choose to call home or your second home! 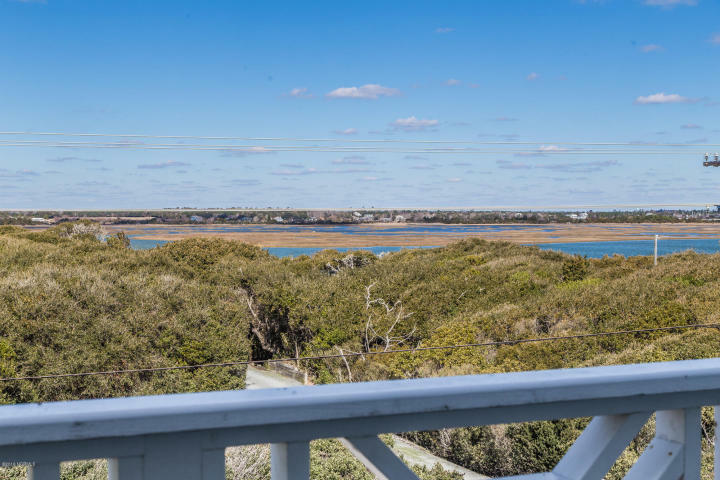 Ready To Search Surf City, NC Homes For Sale?